Liangjiang New Area focuses on the modern service industry in its southern part, comprehensive urban functions in its central and western parts and on the development of the advanced manufacturing industry in its northeastern part, so as to promote the gradual formation of an overall strategic spatial pattern - "one center and four belts" - concerning the financial business center, the high-tech industrial belt, the urban functional industrial belt, the logistics processing industrial belt, and the advanced manufacturing industrial belt. The financial business center will serve as a major carrier to strengthen the modern service sector in China's inland areas, a top-ranking headquarters industry base in Western China and the Research & Development (R & D), innovation and financial center in the upper reaches of the Yangtze River. The urban functional industrial belt is set to be developed into a harmonious and livable city as well as a modern urban new area. The high-tech industrial belt focuses on five major industries - new materials, biopharmaceuticals, electronic information, instrument and meters, and R&D and design. 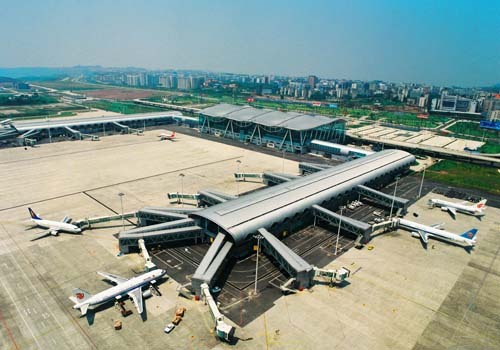 The logistics processing industrial belt will aim to improve functions for bonded logistics, export processing as well as port and airport functions, and prioritize the industries of electronic information, warehouse and logistics, and bonded processing, so as to become the largest industry base in China engaged in bonded logistics and export processing. The advanced manufacturing industrial belt will focus on five main industries, including automobile, high-end equipment, new materials, energy-saving and environment protection, as well as new-generation information products – with the aim of building an important industrial base. 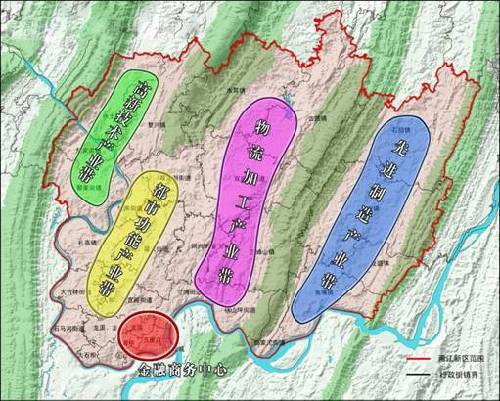 Regarding industrial development, Liangjiang New Area emphasizes the building of a "333" industrial system, i.e. three internationally influential large-scale industries - automobile, electronic information and cloud computing; three domestically influential growing industries - general aviation, high-end equipment and biopharmaceuticals; and three regionally influential service industries - modern logistics, modern financing and culture. 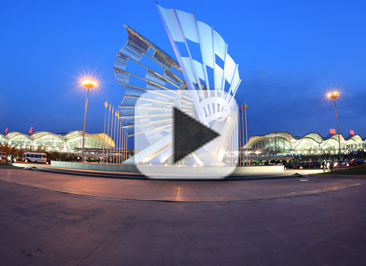 Liangjiang New Area focuses on establishing five industry clusters: automobile, electronic information, general aviation, high-end equipment and biopharmaceuticals. Automobile industry: Annual production of 3 million engines, and 3 million vehicles, including 400,000 limousines and 50,000 to 100,000 new energy vehicles, with a total output value of about 300 billion yuan. Electronic information industry: Annual production of 40 million laptops as well as large quantities of communication-related terminals, with a total output value of 250 billion yuan. Rail transportation industry: Annual production of 500 rail vehicles, and the comprehensive capability of Level-3 to Level-5 servicing, assembling and commissioning for 100 China Railway high-speed trains, with a total output value of 20 billion yuan. Aviation industry: Annual production of 100 lightweight general aircraft (including civilian-use helicopters), with a total output value of 10 billion yuan. High-end equipment industry: Total output value of 20 billion yuan. Energy-saving and environmental protection industry: Total output value of 10 billion yuan. New energy and new light source industry: Total output value of 30 billion yuan. Biopharmaceuticals industry: Total output value of 20 billion yuan.